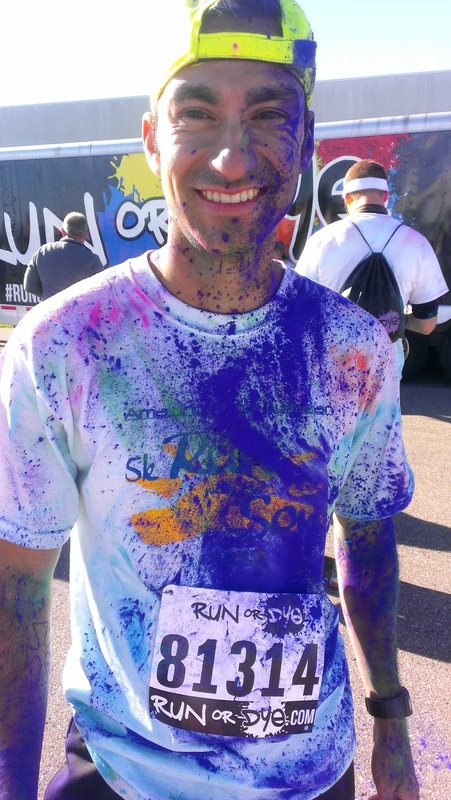 I was recently given the great opportunity to be able to participate in the Run or Dye Detroit event. 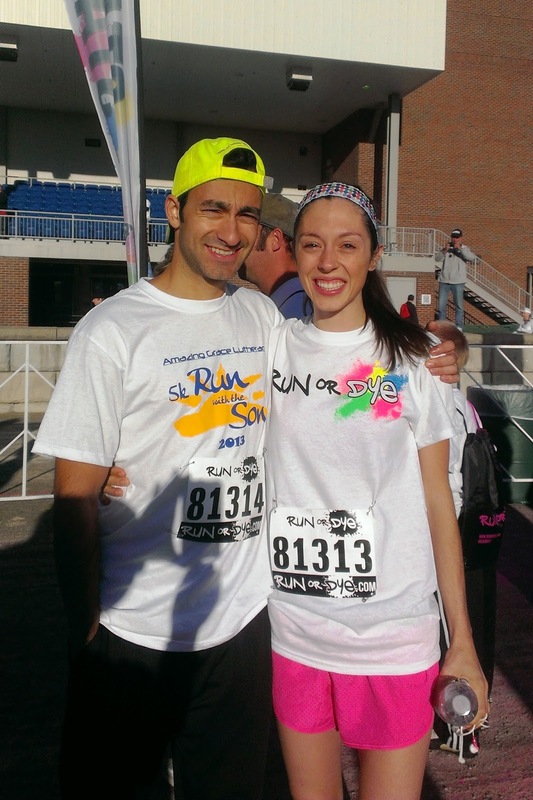 In exchange for a blog post, I was given a free race entry. Run or Dye Detroit took place on September 14th at the Hazel Park Raceway. It was a huge area and right when Troy and I got there, I knew that this was going to be fun. There was so much energy going on everywhere around us. People were dancing, dressed up and costumes and came ready to have a good time. We arrived early and I'm glad we did- there were so many people! Run or Dye is a race where you get covered in all different colors. The "dye" is made of colored cornstarch and does come out of your clothes when you wash them. The volunteers for the race throw different colors of powder at you and there are color parties where everyone is throwing up different colors. 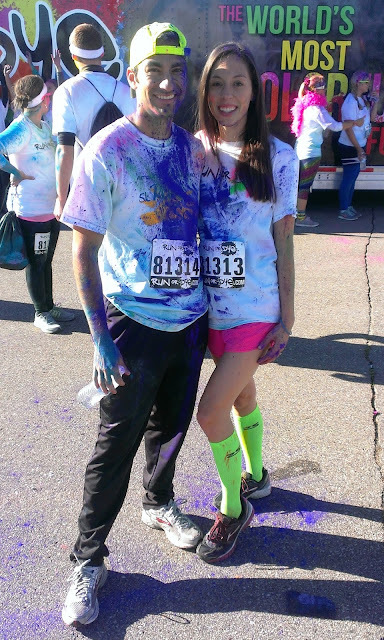 Throughout the event, we got covered in green, blue, pink, yellow, orange and purple colors. This picture above shows people even before the race began! See everyone covered in color? Before the race even started, the people working the event helped to get you pumped up. There was music playing, they were giving prizes away and people were doing the wave. Troy and I decided to run this race for fun and not to try to get a great time. Many people were walking the race and just having fun. It was different than any race I have been at before. Troy and I had a great time and we would both do this race again! After the race, someone crazily attacked Troy with purple color. Someone felt that he was not colored enough and he needed a good dose of purple. It may have been me ; ). If you are interested in learning more about Run or Dye to see if it is coming to your area, check out the Run or Dye website.